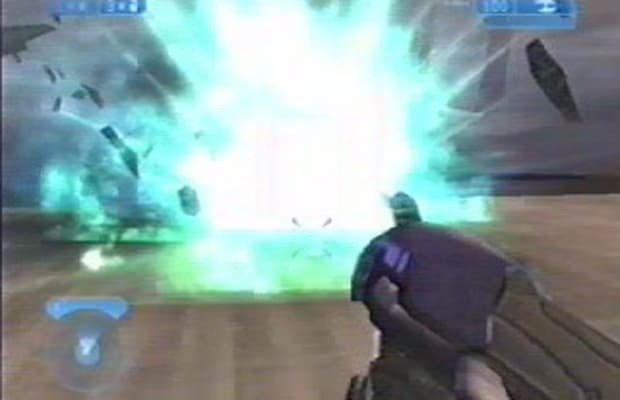 You'd be forgiven for thinking the Scarab Gun—the giant turquoise plasma beam mounted on the front of the Covenant's quadripedal Scarab tanks—wasn't actually a usable weapon in Halo 2. It can destroy the biggest vehicles in the game in literally less than a second, so it would be much too powerful. That's probably why Bungie put it so far out of reach and didn't even bother to dress it up with anything other than a boring-looking plasma rifle skin. Rest assured, though, that once you find it, you won't have any more trouble with those pesky aliens. If you can avoid killing yourself by accidentally shooting anything within 100 feet of yourself, that is.